Thermo Scientific manual pipetting systems deliver unparallel ergonomics, dependability and quality for consistent and reproducible results. The leader in pipetting technology. With the added confidence of ClipTip technology, Thermo Scientific™ F1-ClipTip™ Fixed Volume Pipettes are ideal for use in set protocols requiring a specific volume while providing low attachment and ejection forces. Now silent and effortless, Thermo Scientific™ F1-ClipTip™ Variable Volume Pipettes feature newly enhanced volume adjustment, and the added confidence of ClipTip technology that locks tips firmly to the pipette with a complete seal. Thermo Scientific™ F1-ClipTip™ GLP Kits offer a variety of single channel pipettes or a mix of single channels and a multichannel pipette packaged with compatible ClipTip tips, and a convenient pipette stand to support good laboratory pipetting in your lab. Select the kit that is right for you, and take advantage of the F1-ClipTip performance and lightweight design to maximize your comfort. Great for set protocols and QA environments, Thermo Scientific™ Finnpipette™ F1 Fixed Volume Pipettes deliver a light, smooth pipetting action and an adjustable finger rest to maximize your comfort. Thermo Scientific™ Finnpipette™ F1 GLP Kits offer a variety of single channels in a range of volumes that are packaged with compatible Finntips, and a convenient pipette stand to support good laboratory pipetting in your lab. Select the kit that is right for you, and take advantage of the Finnpipette F1 performance and lightweight design to maximize your comfort. Pipette for long periods of time with less discomfort using Thermo Scientific™ Finpipette™ F2 Fixed-Volume Pipettes, one of the lightest pipettes available which feature a supportive finger rest allowing the hand to relax between pipetting cycles. Long periods of repetitive pipetting are much more comfortable and less tiring, and the risk of Repetitive Strain Injury (RSI) is reduced. The rounded tip ejector button is ergonomically designed to enable the most comfortable thumb position. 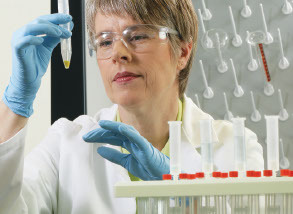 Eliminate the possible effects of hand warmth on the accuracy of measurements with Thermo Scientific™ Finnpipette™ F2 Adjustable-Volume Pipettes, which feature Advanced Volume Gearing (AVG)—a thermally-isolated self-supporting modular volume adjustment mechanism that enhances pipetting performance. Because the AVG mechanism is separated from the pipette body, its accuracy and precision are significantly improved. Access everything needed for pipetting in these all-inclusive kits. Thermo Scientific™ Finnpipette™ F2 GLP (Good Laboratory Pipetting) Kits provide durable, high-performance Finnpipette F2 pipetters which offer maximum reliability and comfort. The F2 pipetters have unique features such as AVG (Advanced Volume Gearing mechanism) and a very large display for improved usability and comfort.